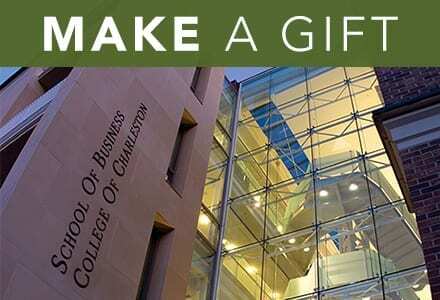 The College’s former president, P. George Benson, Ph.D., who currently teaches supply chain classes at the College of Charleston School of Business, has been re-elected as chairman of the Foundation for the Malcolm Baldridge National Quality Award for the third consecutive year. Hailing from Lewisburg, Pennsylvania — home of his alma mater Bucknell University — Benson has an impressive background in higher education. During his tenure as the 21st president of the College of Charleston, Benson launched the R.E.A.C.H. program, hired a chief diversity officer and established a North Campus to accommodate the growing campus community, among several other achievements. Ever caught a ride on the Cougar Shuttle or received a Cougar Alert on your phone? You can thank Benson for that. He also acquired state approval for our one-year MBA program, now playing a definitive role in taking business professionals to the next level. 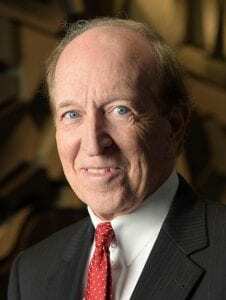 In addition to serving on the board of directors of several companies, including the Baldrige Foundation, he has served as the dean of the University of Georgia Terry College of Business and Rutgers University Business School. Benson will also be the master of ceremonies for the Malcolm Baldrige National Quality Award Ceremony during the 2018 Quest for Excellence Conference in Baltimore, Maryland on April 8, 2018. This is his sixth and final year as chair of the Foundation and master of ceremonies of the award ceremony. Benson currently serves on the board alongside William Troy, CEO of the American Society for Quality; Scott McIntyre, president and CEO of PwC Public Sector; and Tony Scott, former CIO of the United States government, among several other industry powerhouses.